Marty Slade is Director of Research for the Yale University Occupational & Environmental Medicine Program within the School of Medicine. He is also Co-Director of the Yale University Maritime Research Center. Mr. Slade also holds appointments of Lecturer for Yale University School of Medicine and Yale University School of Public Health. He earned a BS in aerospace engineering at Syracuse University, where he was graduated as a General Motors Corporation Scholar, and earned his MPH at Yale University. Mr. Slade's work focuses on the development of analytical models to evaluate the effects of physical, social and environmental factors on the patterns of disease and injury within the workplace setting, including non-traditional settings such as the military and merchant mariners. Mr. Slade has contributed to the analysis of a large census-based epidemiological database related to the assessment of drinking water contamination, the statistical reconstruction of an epidemiological study of a childhood cancer cluster, and a formal meta-analysis of brain cancer in the rubber and tire industry and a decision-analytic assessment of screening tests for beryllium sensitization. 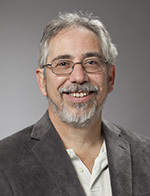 He has been the lead statistician for four clinical trials conducted by the U.S. Department of Defense; three to determine the effect of pharmacological agents on prevention of noise induced hearing loss and one to ascertain the efficacy of a pharmaceutical intervention on mild traumatic brain injuries. He is also a board member of the U.S. Department of Defense Hearing Center of Excellence's Pharmaceutical Interventions for Hearing Loss.